Customize a bobblehead figure on a motorcycle! Do you own one or know someone who does? 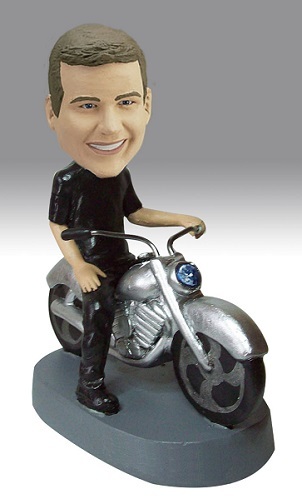 If you love motorcycles or want to buy a special gift for someone who does, think about getting them this custom bobblehead. Change the outfit as necessary, and add tattoos or piercings to make the doll look like he does in real life!